I thought I’d take a side step from career dominated posts and indulge in a favourite past time of mine. This won’t take the form of the next wishlist (Part 1 and Part 2 can be found by clicking here) or a new satirical rant (like the ones found here – Luxury Items 1 and Luxury Items 2). Instead, what I’d thought I’d do today is profile my favourite brand for this season. I’ve touched ever so slightly on this brand before (Wishlist – Part 2). However, after seeing and wanting several pieces from the latest collection, I thought I’d dedicate a whole post to what I liked. What brand is this, you ask? The Amsterdam Couture brand SCOTCH & SODA is my answer. Below are a a few pieces that caught my eye on a recent visit in store. 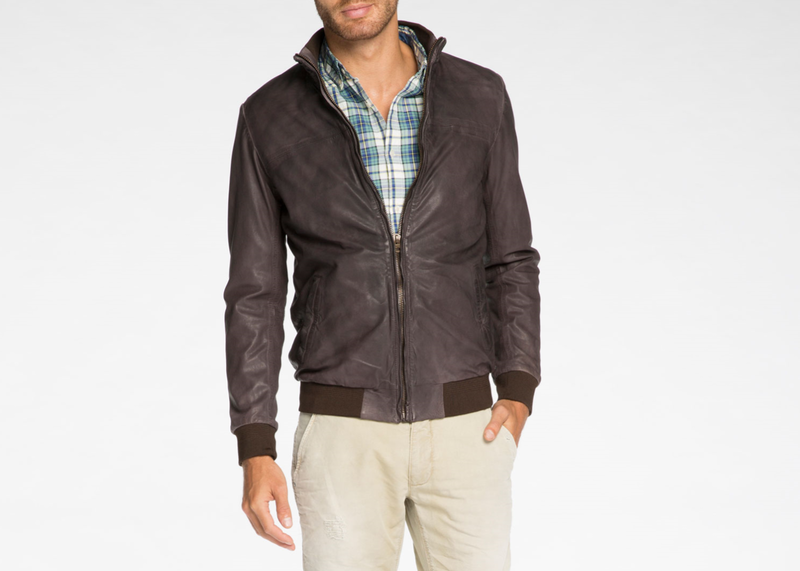 This brown Leather Bomber Jacket is something I’ve been looking for, for a long time. Most brown leather jackets have a deeper chestnut colour to them. For someone like me that has a darker skin tone, I find that such a colour leaves me looking washed out no matter how nice the cut. As such, I find that the faded grey tinge of this jacket is more than complimentary, let alone is a great cut with material that won’t be confused with pleather. As we come to the end of winter, your thoughts will start to turn to summer. 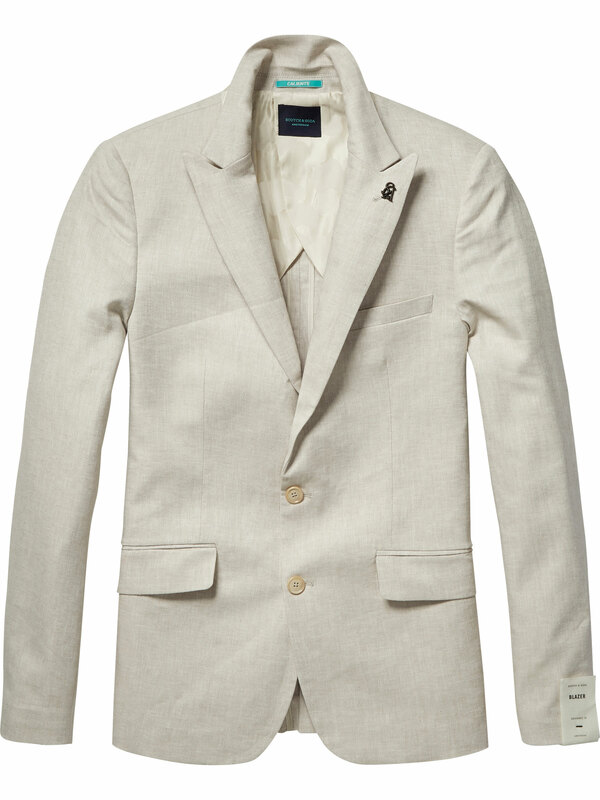 This pale sand coloured blazer is high up on my wishlist. Once again, the soft colours compliment instead of leaving me looking washed out. As such, I thoroughly recommend thus jacket as it can be hard to find a blazer that ticks the boxes of style, fit and price. Note, the pin can be removed if you agree that it looks tacky. In case you haven’t noticed, this is the third jacket for this post. 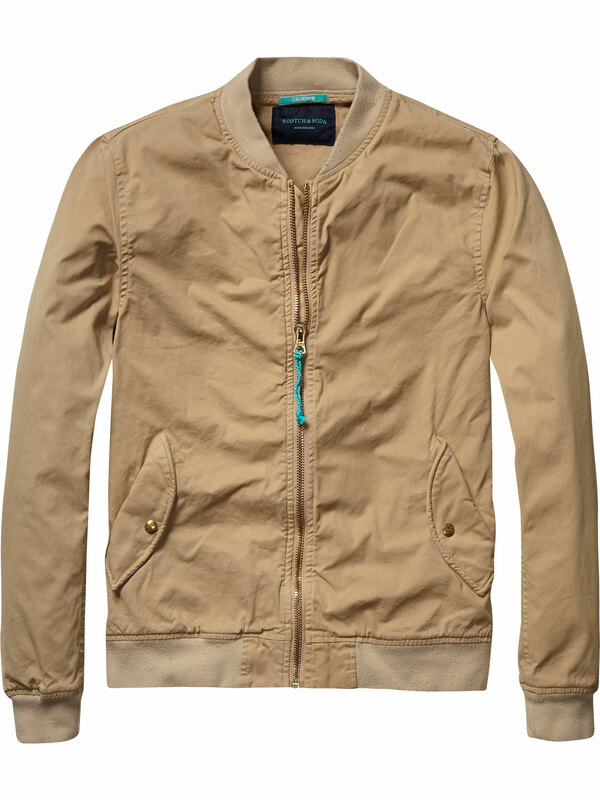 My reason for stacking this post heavily with jackets is due to my belief that the jackets from Scotch & Soda are up there (if not better) with the best brands in their class. That is why, if you’re after a new/extra/another bomber jacket, look no further than this summer weight bomber. I’ve previously discussed getting a trendy toiletry, especially for those people that like to travel. 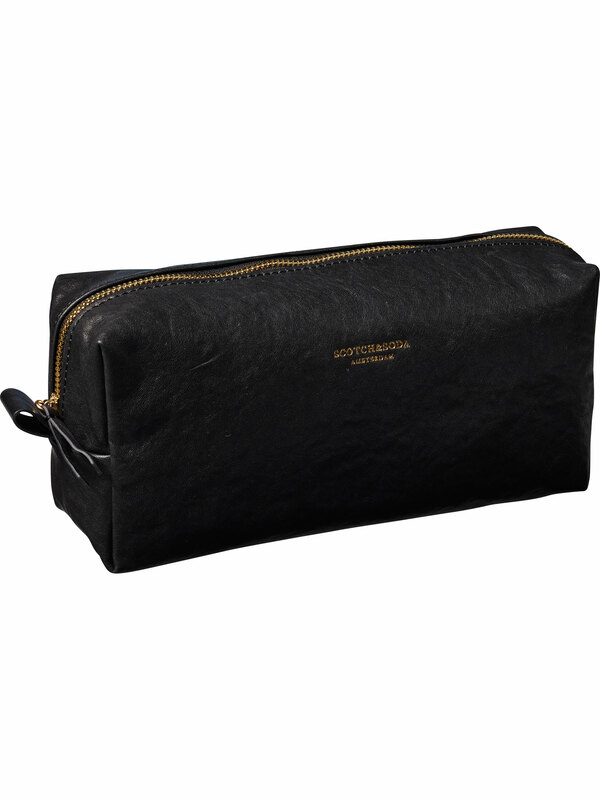 This leather toiletry bag by scotch and soda, fulfills all the right qualities. Looks good and isn’t at an offensive price range which is why you won’t mind taking it on tour. No matter how prepared you are, you will invariably be forced to carry coins. For a minimalist like myself, this often puts me in a conundrum; coins in the pocket or tip the venue? This where this leather credit card holder separates itself from many of the competition. Featuring a zip in the middle compartment, this is a handy feature for those that need a bit of practicality but still want style at a non-offensive price. 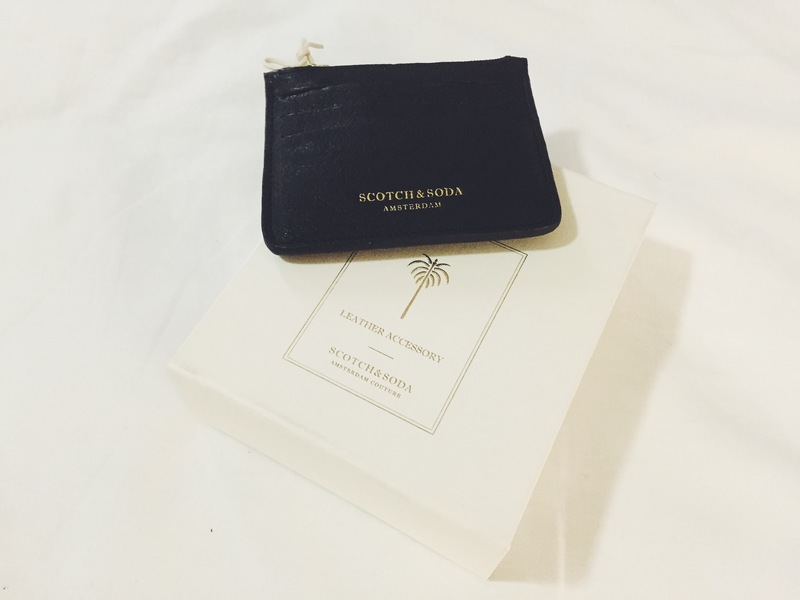 For me Scotch & Soda is a great brand with many things to offer. However, whilst I’d recommend them for their jackets and accessories, I’d generally go elsewhere for other basic items. The shirts are generally good quality but are a little too bold for me and the chinos probably a tad of the high side compared with their main competitors. In any case, you won’t go wrong building your wardrobe around this brand. I encourage you to have a look around and make up your own mind. Previous Previous post: Choosing the Right Gift?